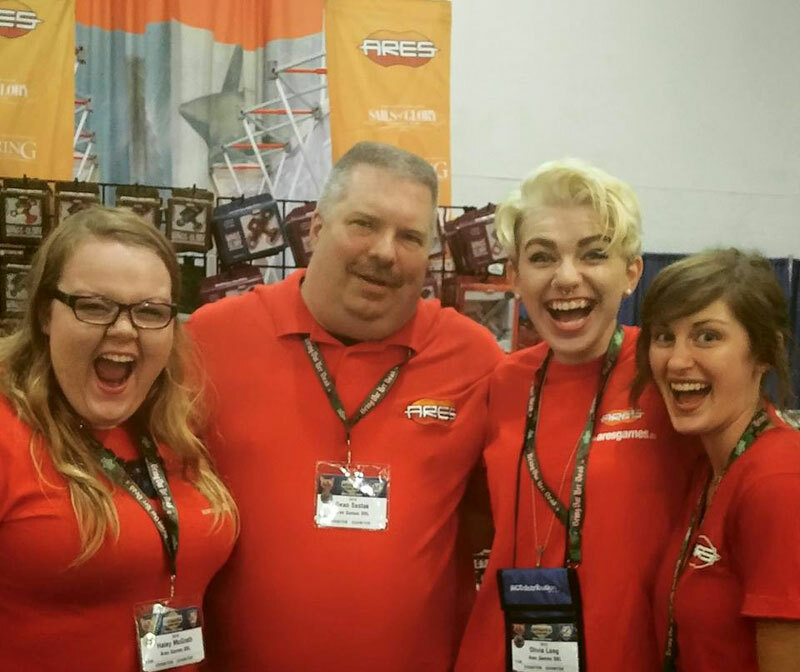 Origins Game Fair 2015 was an amazing show for Ares! 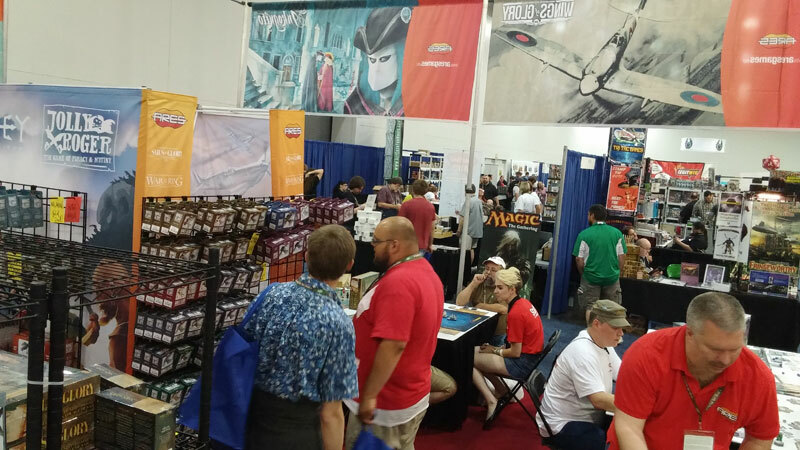 In the four days of the convention, our booth was busy all day, every day. People of all ages stopped by to try our games from all the different product lines, and to take a first look to the upcoming new games Jolly Roger, Odyssey - Wrath of Poseidon (coming in late Summer), and the Galaxy Defenders expansions, "Operation Strikeback" and "Extinction Protocol," to be released in July, after shipping to Kickstarter backer is completed. A view of Ares' booth at Origins 2015. 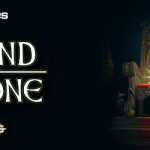 "Jolly Roger got a great reception at the show, both in terms of the game play and the art and the theme. People liked that it went to 10 players. There was a great response to Odyssey, as well. 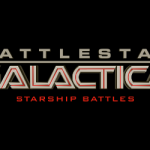 There was a lot of interest for Galaxy Defenders, not only due to the new upcoming expansions but also from people encountering the game for the first time," commented Isabella Long, Ares Games booth manager. 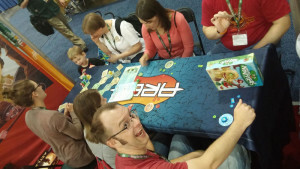 Dino Race and Micro Monsters demo table. Many products sold out at the show. Family Games, Dino Race and Micro Monsters, sold out on Sunday morning, as well the WW1 and WW2 Wings of Glory Starters and Rules & Accessory Packs and several bombers from both wars. 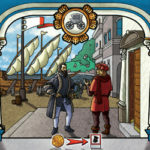 One of the Origins Awards winners (see here more about the prizes we received), Sails of Glory also gathered many gamers at the show, and the recently released Special Ship Packs HMS Victory and USS Constitution sold out, with the last copies sold after a dice-roll between three people. 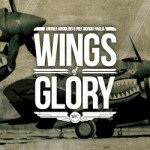 WW1 Wings of Glory event by Buckeye Gamers in Flight and Wings of Glory Aerodrome. 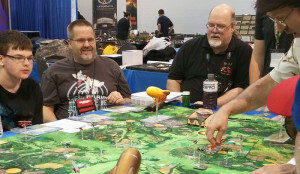 The events organized by Buckeye Gamers in Flight, the Wings of Glory Aerodrome and the Sails of Glory Anchorage at Origins 2015 ended up with a 103% fill rate for the entire convention. 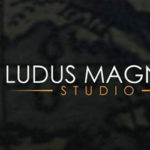 A total of 274 players were expected for the 23 events scheduled, but 282 actually played in 58 hours of Wings and Sails games. 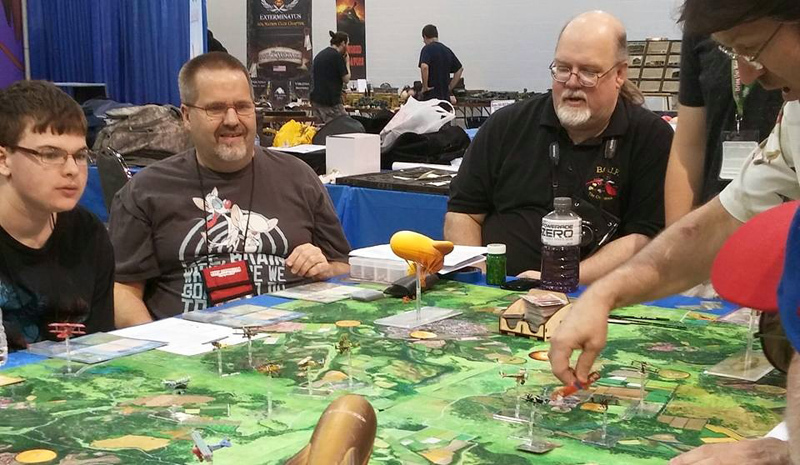 For reports and photos of these events at Origins, check the Official Origins After Action Report thread at the Aerodrome's forum. 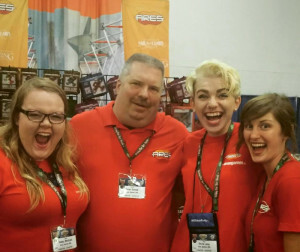 The cheerful Ares team at Origins. 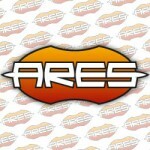 Ares Games thanks everybody who visited our booth and the great crew who made it a success. A special thanks to the members of BGIF, Wings of Glory Aerodrome, and Sails of Glory Anchorage, for the events and the support to the demos at the booth. Next stop: Gen Con Indy 2015, in Indianapolis from July 30 - August 2, 2015. See you there!